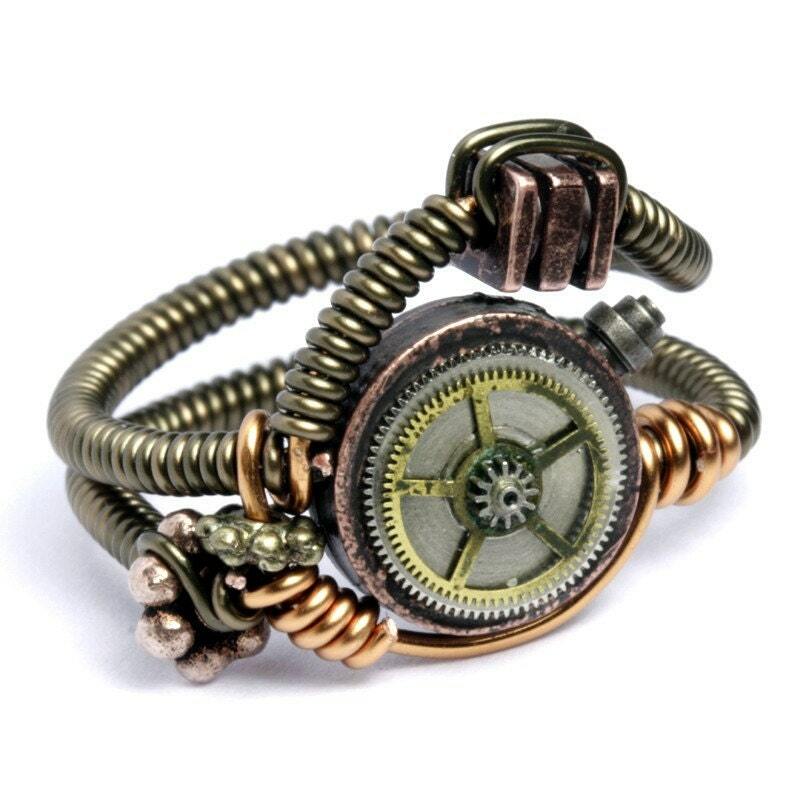 This year CatherinetteRings decided to turn the steam on to a different level and create new original Steampunk Jewelry designs . 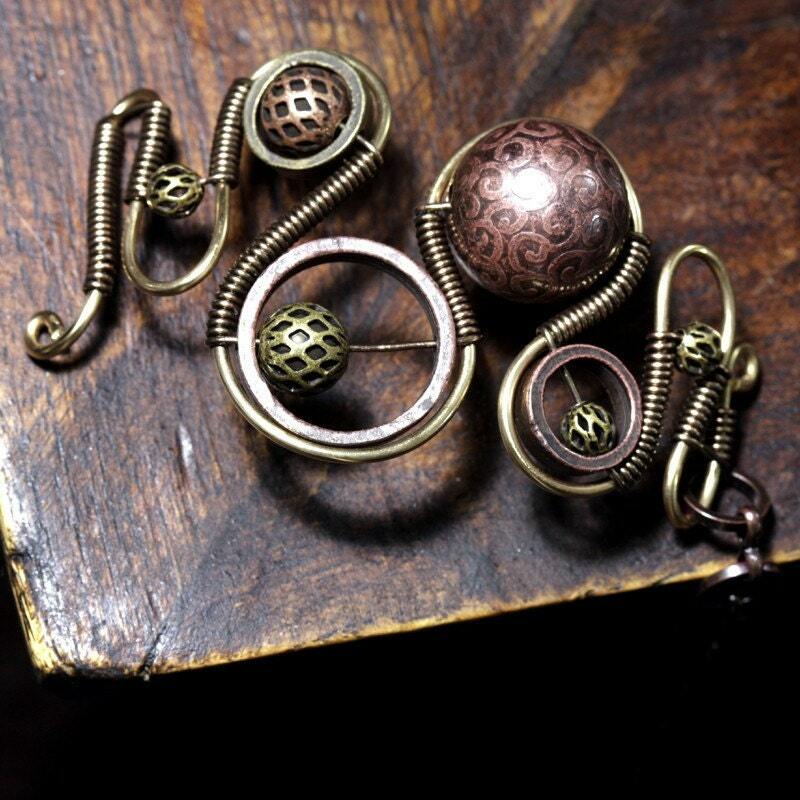 First i introduced changes into my steampunk ring designs - A new line : ARTIFACT . ARTIFACT STEAMED are modified with clock parts and gears . 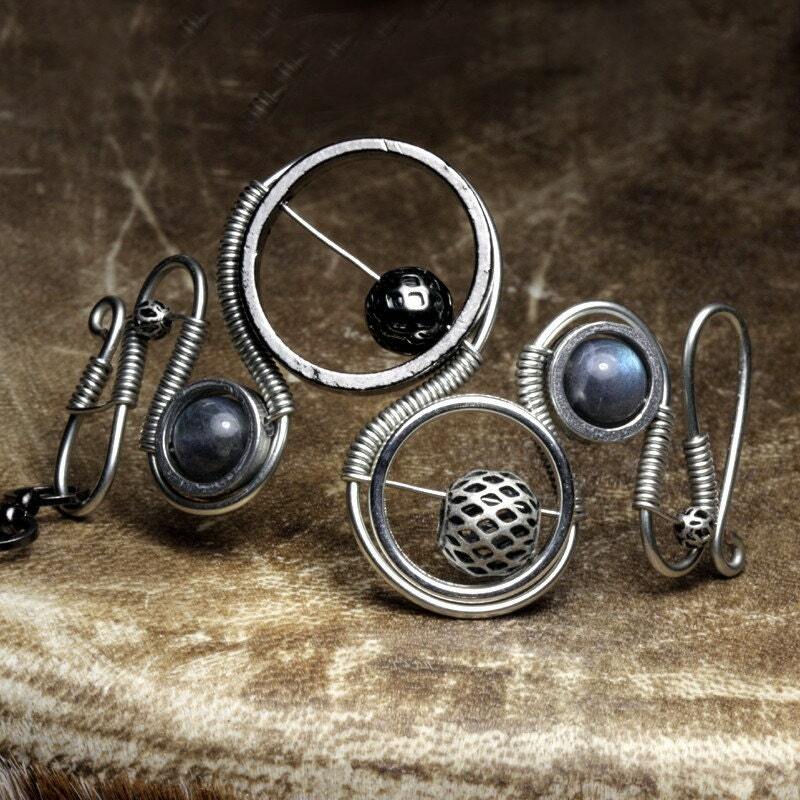 These rings are one of a kind . Upon request i can remake similar one . Due to the complexity of the design i cant reproduce exactly the same ring twice so they will be all unique. In this ring i drilled by hand tiny holes in amber and inlay minuscule clock gears. 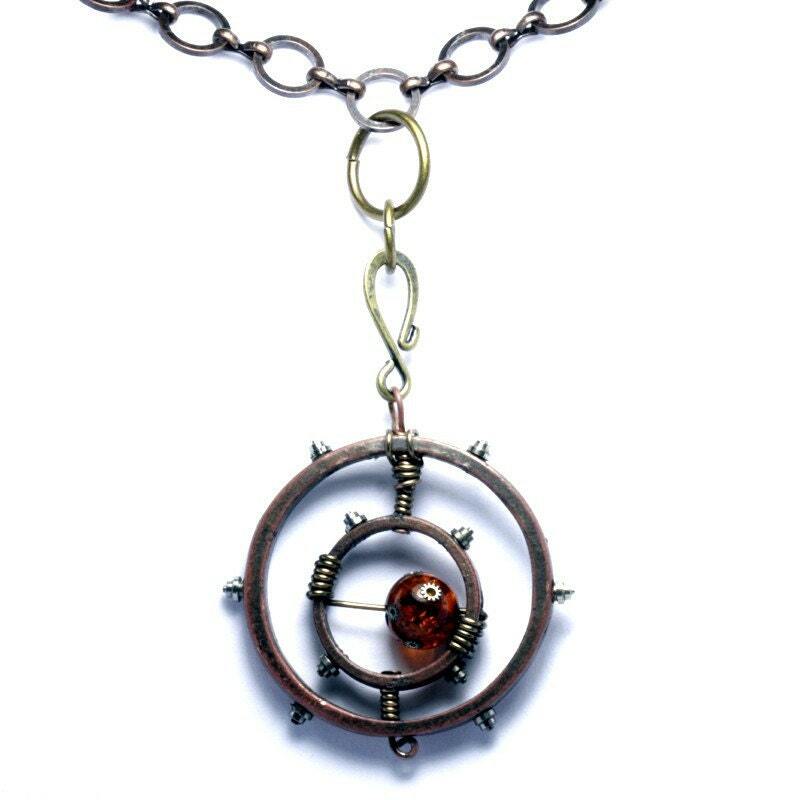 ARTIFACT STEAMED with Crab fire Agate and clock part . 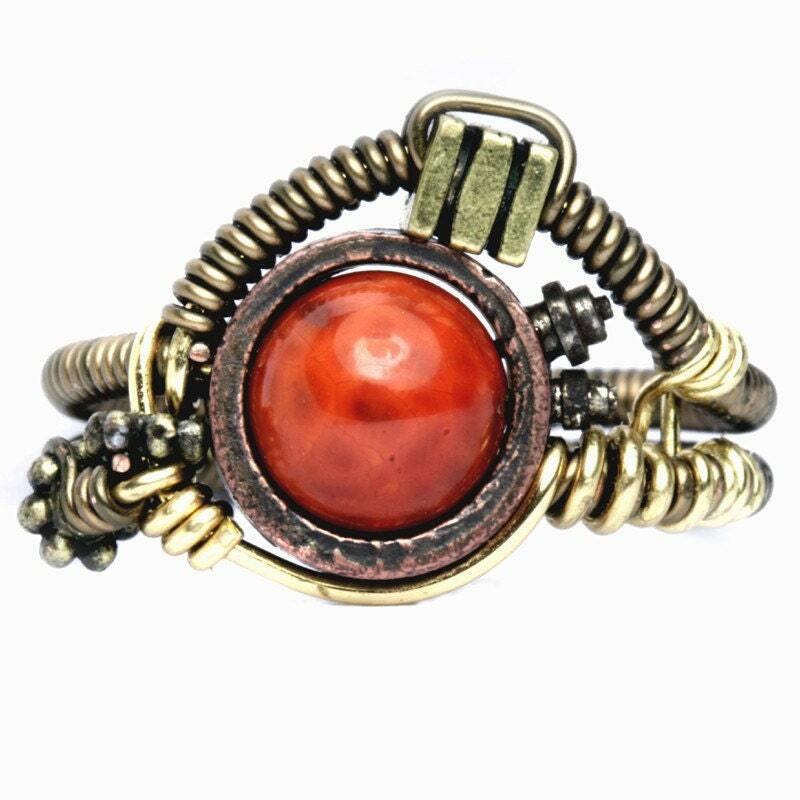 In this ring i also used Copper & Brass wire . ARTIFACT STEAMED - Mysterious amber and clock parts . I spent hours to drill by hand holes in the center loop to add the tiny knobby pieces. ARTIFACT STEAMED with Clock gears . On the left i used Tinned copper wire + Gun Metal and on the right Gun metal and Natural copper. This is my luxury . 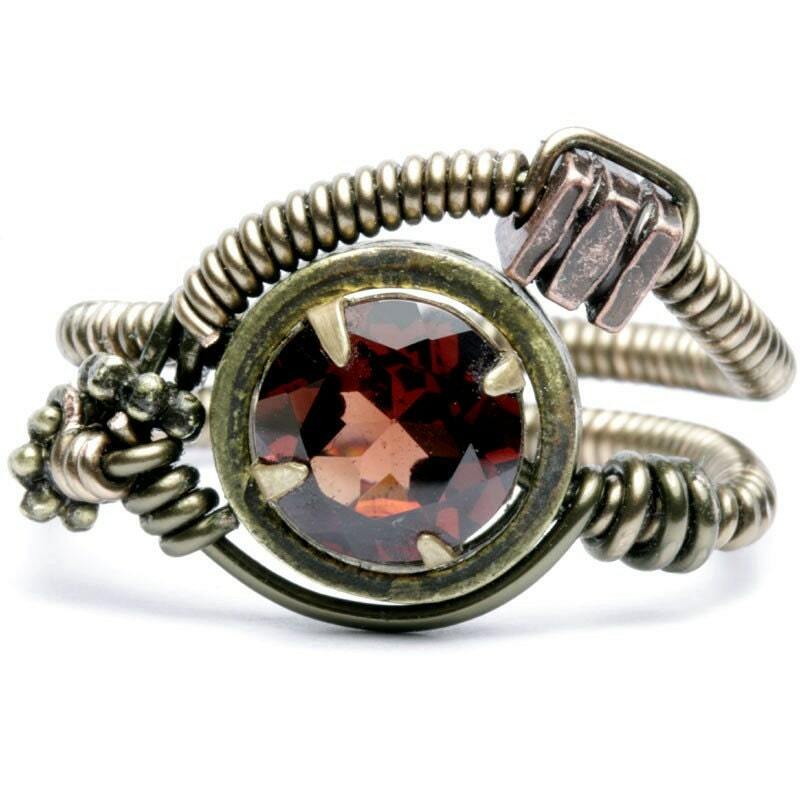 I really like nicely cut stones and i have found the opportunity to include diamond cut stone into my Steampunk design . Clarity : IF - "Loupe-Clean" or "10X clean" ~100% Clean - Exceptional quality with no inclusion (s) visible using a 10X loupe. 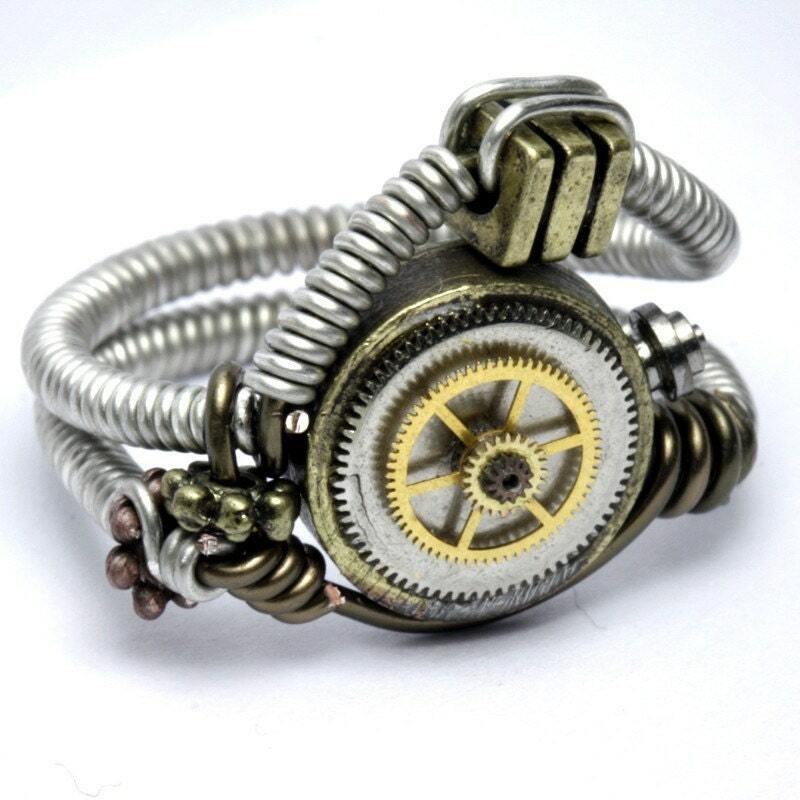 I also created some bracelet which can be combined with matching rings in my shop. 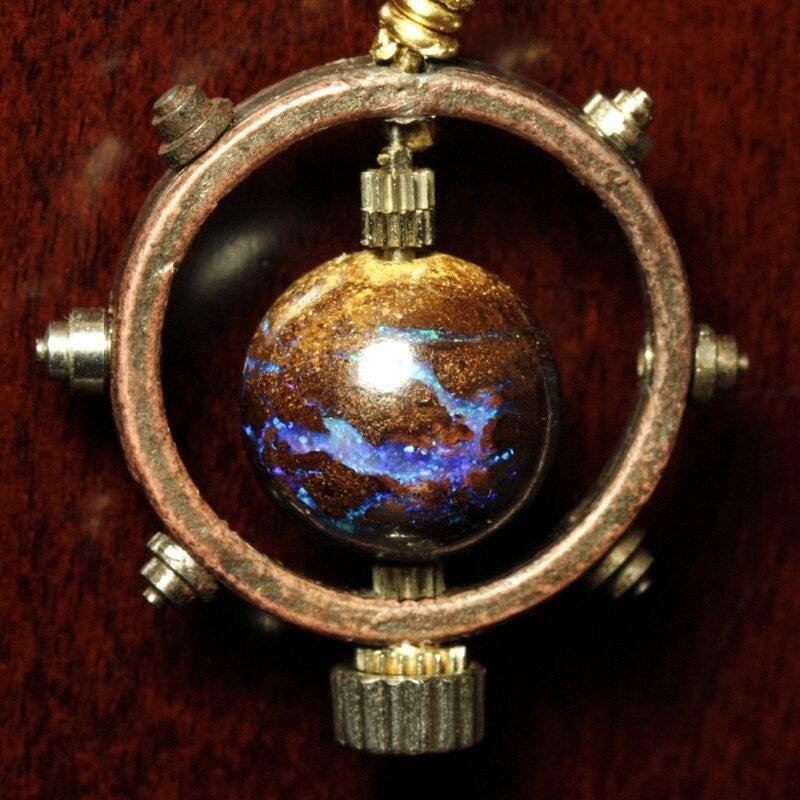 The RELIC design feature rare or unusual material . 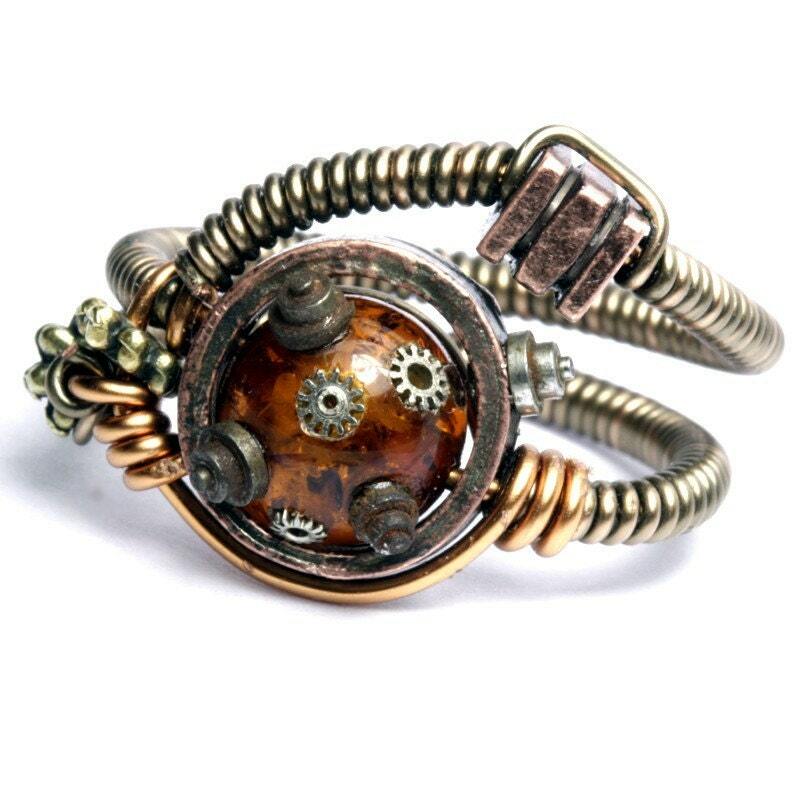 RELIC STEAMED - STEAMPUNK BRACELET with Mysterious Amber BRASS Copper antiqued beads and VINTAGE BUTTON modified with old clock gears. On the left i used a Etched Baroque Copper Bead and on the right Tinned copper with Labradorite. The Lampwork bead is a creation of www.Melissabeads.etsy.com . 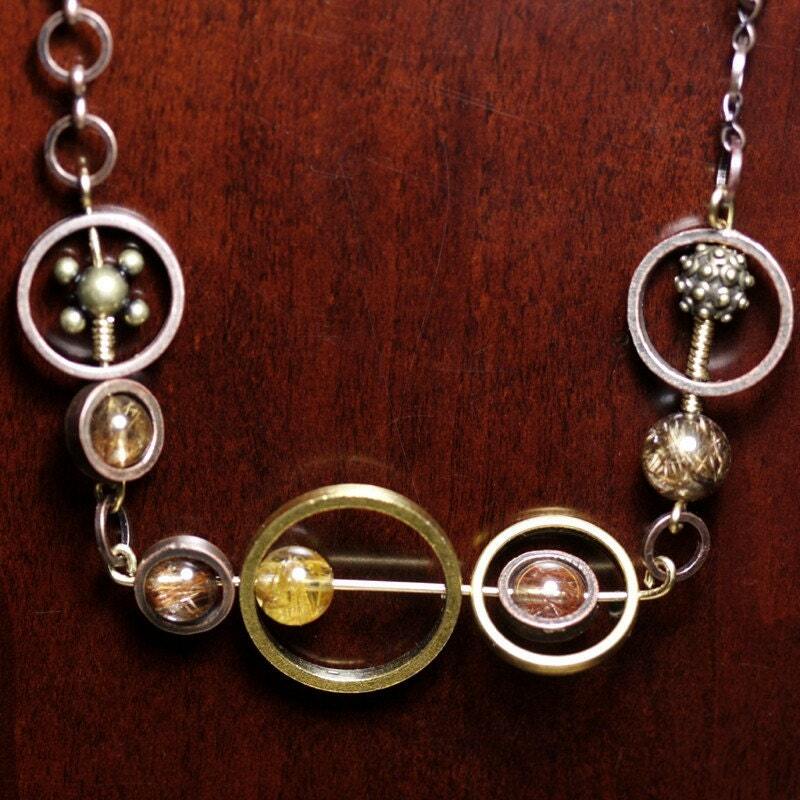 We will be adding more new pieces of jewelry made with our combined skills . 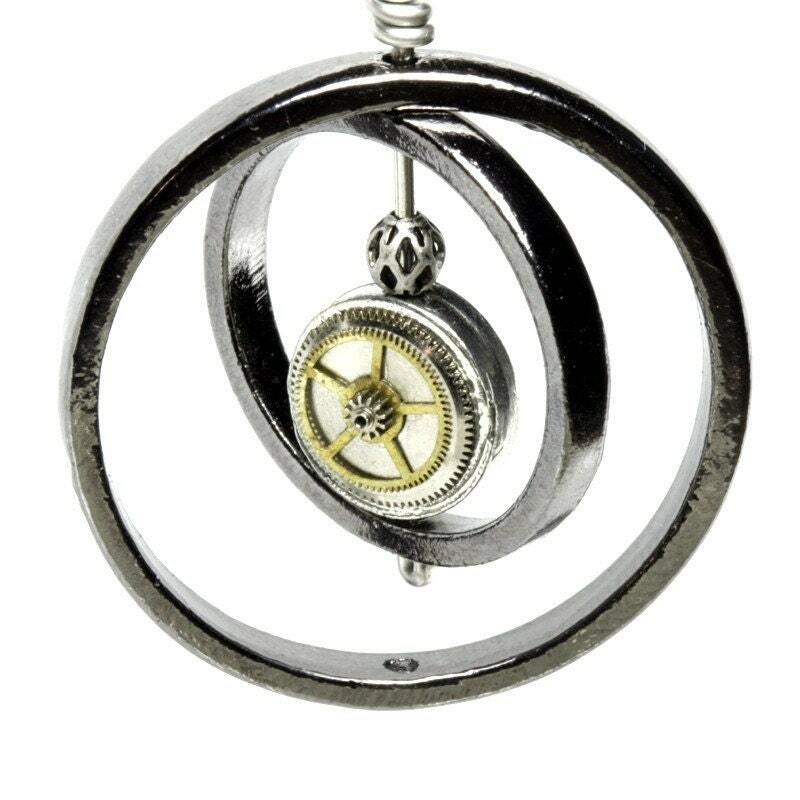 Check out both our shop for more . I made 2 bracelet for her shop and i will also have 2 bracelet in mine. I'm currently working on expanding my collection with Earrings and Cuff Links. Check back in a few weeks and i will have more surprise . Remarkable work! 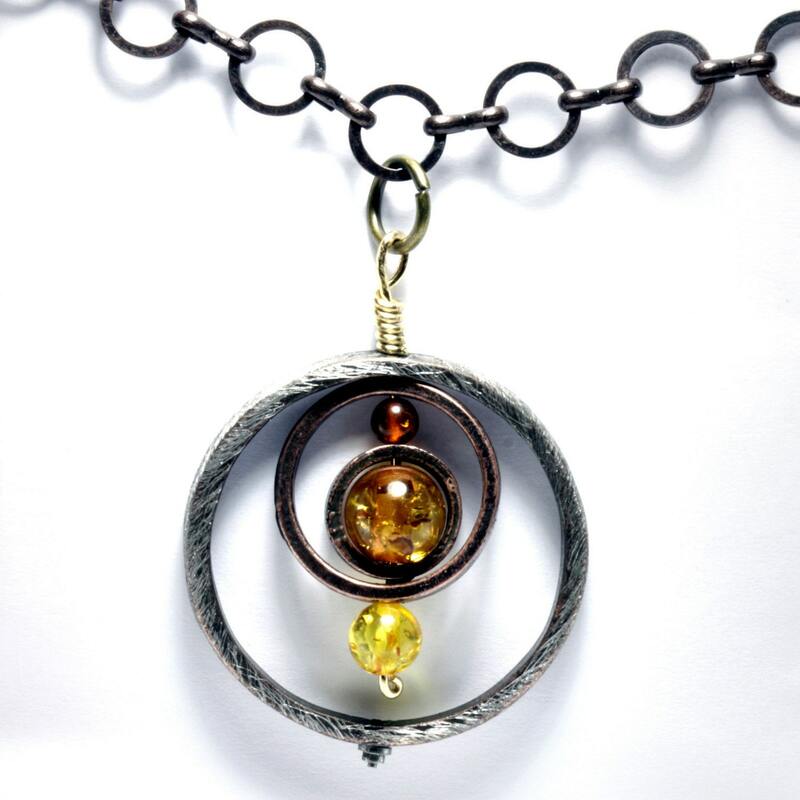 Have you considered selling your detailed jewelry on ArtFire.com? I absolute adore your designs! I clicked over here from EC. Your were my very first dropper on on my new blog! Thank you so much. I am bookmarking you! I am blown away by your designs! Have a great day. Yes , I have an account opened at artfire . 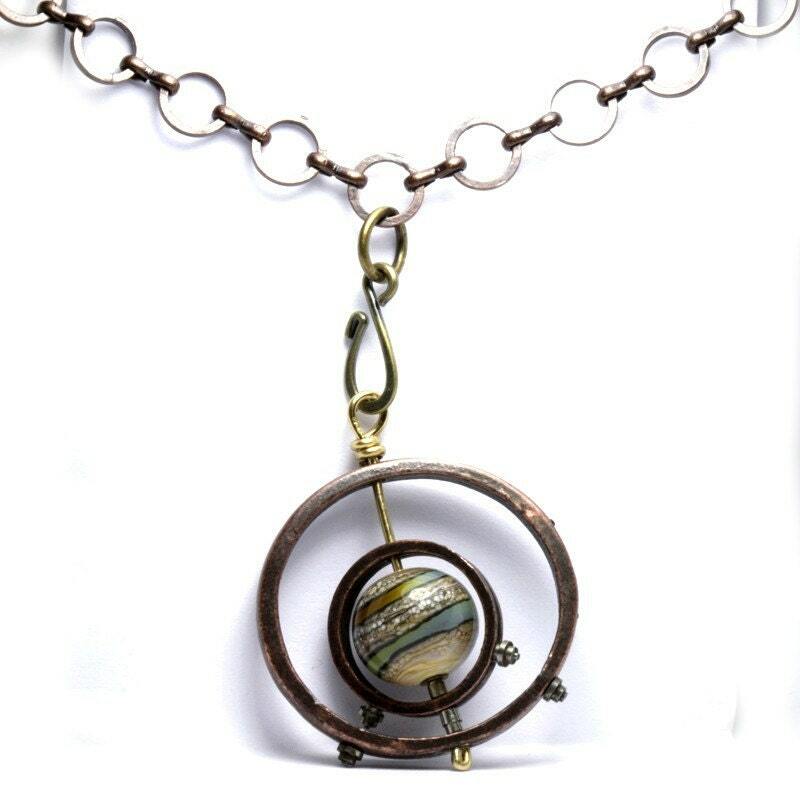 I will be adding more jewelry , every week . 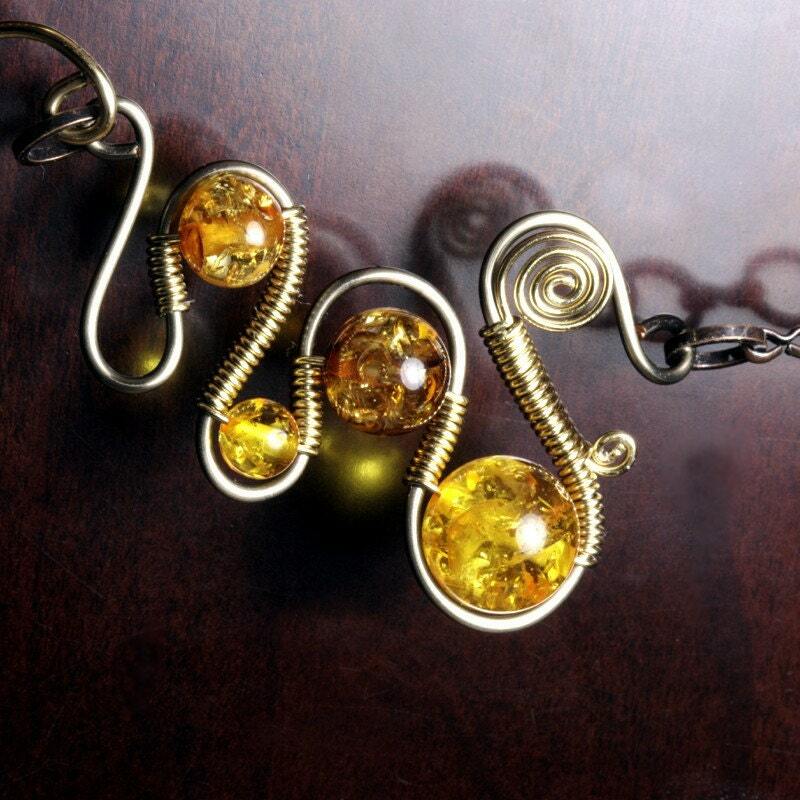 Next i will introduce some bracelet . Very unique. It reminds me of something I'd see on the movie "Blade Runner,". I love them. LOVE your rings. Simply fabulous! Wow! Great pieces. The necklaces are my fave! I love your rings! They are gorgeous! I am sureou get offers all the time for blog reviews/giveaways. If you are ever wanting to do one, I'db more than happy to work with you on it! Incredible!! 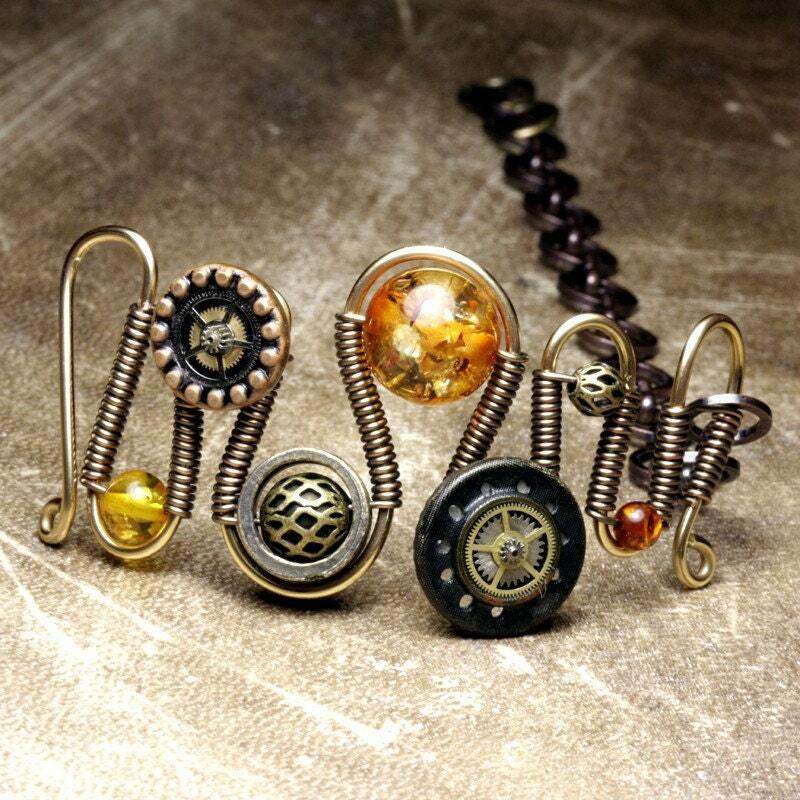 I absolutely love the steampunk rings. Hi! I stop by your site everyday. I love your rings, a little pricey for a poor guy like me, but I would love to one of your rings on stage, something dark (not the color, the feeling) , masculine, and awe inspiring. Any recommendations? And not terribly expensive, you know how broke some musicians are,lol. Awesome Inc. theme. Theme images by caracterdesign. Powered by Blogger.